Following on from my previous post on scarfs, here is my scarf wishlist from Net-A-Porter, I totally adore all of these and the Alexander McQueen one is my absolute favourite, LOL!! What style of scarf will you be going for this season? I love the McQueen too. Dogtooth is my new thing. The McQueen for me too... but only in my dreams. I hadn't really thought about scarf styles before, you have opened my eyes! I have a multicolor striped snood from my friend...but I need a gray or black one...Great post, dear Sharon! 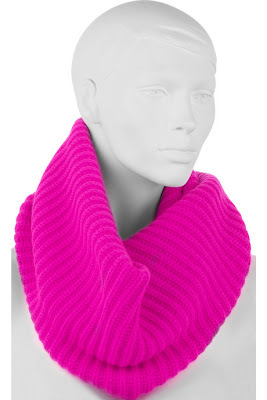 I've gone for an Accesorize long purple chunky knit and a Zara metallic snood. The long fawn one I got from Oxfam ibn Crosby for £1.99! I so love the first one. Always wanted one like that. I'll probably wear the scarves I've crochetted. I hated that I lost my favorite one last year. I hate when that happenes. Great choices -- I like them all. And I'm really electrified by the Michael Kors one! Fun color. I will always love neon! I agree about the Alexander McQueen scarf. It's lovely + just the right colours :) It looks warms too. Hi everyone-thanks for the fab comments and for stopping by too! 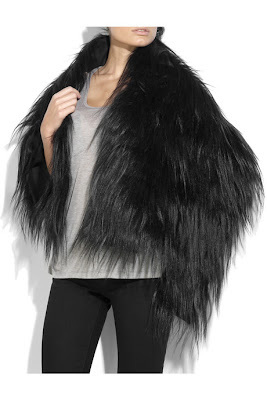 the Miu Miu fur-esque scarf/shrug....woah! Love....thanks for sharing. I'll try to stop drooling over it...its so fierce. Oh, I know how you feel. My scarf obsession has just started (as it does every year when it starts getting cold). 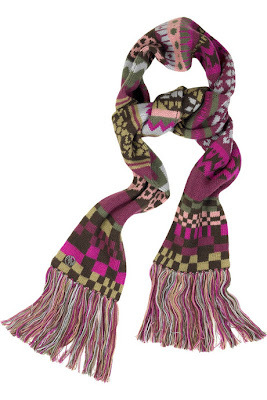 I adore the McQueen scarf and I'm currently also looking for a nice warm long stripey version in grey. I'm still hunting though, so who knows what I'll end up getting! Hope you had a terrific weekend! Oooh I cannot wait to buy some woolly accessories! The McQueen scarf looks great. I also like the one from Matthew Williamson. Good picks. I quite enjoy the color explosion of the MW one!